NGWA’s Contractor’s Toolkit highlights your expertise. 2018 was a banner year for NGWA and our members. Our Association added nearly 2300 new faces in the past year—more than 850 of which were water well contractors—meaning more than 10,300 groundwater professionals are a part of this organization. An example of a co-branded topical information sheet in NGWA’s new Contractor’s Toolkit. As our Association continues to grow, our membership team regularly reviews and evolves the services and benefits we offer. With that in mind, we developed late last year the Contractor’s Toolkit, an online hub housing co-branded marketing and educational materials for our contractor members. Containing free materials designed to highlight your expertise, increase eyeballs on your businesses, and help educate your clients, the Contractor’s Toolkit allows NGWA members to potentially reach a broader pool of customers. A checklist and “top facts” about PFAS (per- and polyfluoroalkyl substances). 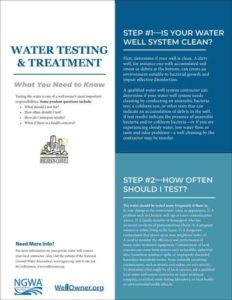 Let’s say a customer has some questions about their well system and your recommendation of routine well maintenance. While you can easily explain the steps he or she should take to maintain their well, by accessing the online Toolkit, you can now print an information sheet containing your company’s logo and contact information. Not only does this highlight your knowledge on a particular subject, it allows you to leave your customer a co-branded marketing document containing valuable information they can refer to throughout the year. And because we know expenses around printing of these materials can add up, we also explored a relationship with various vendors to help ease the costs. I’m happy to report in 2019 and 2020, NGWA members will receive a 15% discount on the printing of all Contractor’s Toolkit materials through our unique partnership with FedEx Office Print & Ship Center. By accessing the Toolkit through NGWA.org, you can select which items you’d like to print, choose the closest FedEx Office location, and have those materials printed for pickup. If you live in a location where pickup isn’t a viable option, you can choose to have the items shipped to you at a discounted rate as well. So feel free to print early and often! As we move through 2019, we’ll expand and update the Contractor’s Toolkit to respond to various happenings in our industry. For example, we will post this month shareable information on Groundwater Awareness Week, our annual event to highlight the importance of protecting the resource. 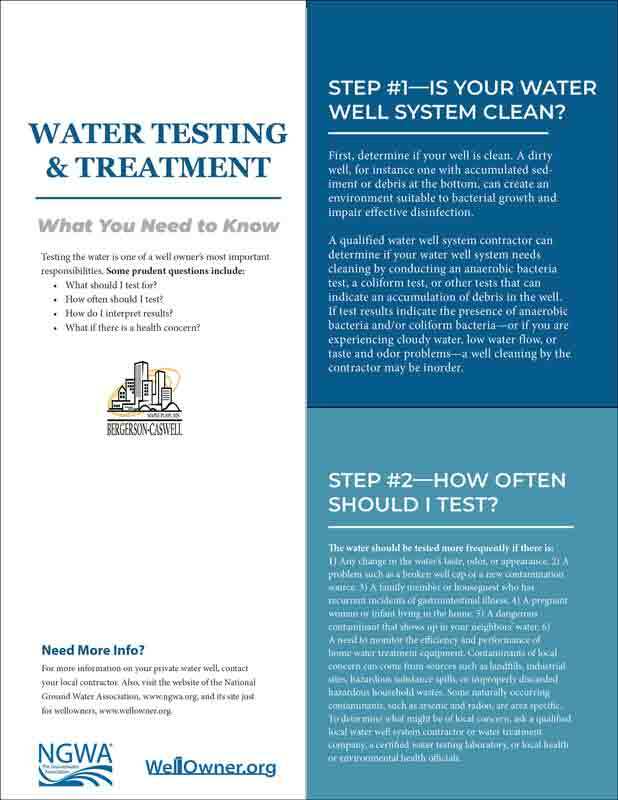 And if the discussion around PFAS continues to expand, we’ll upload additional brief sources of information you can share with your customers, so they can easily understand this class of contaminants. And if flooding occurs around the Atlantic hurricane season, we’ll do the same. While the Toolkit contains some great information and resources, I encourage you to explore everything it currently has and let us know if there’s anything we could add or how we might make the online hub even better. After all, nobody knows your business or your customer’s needs like you! We’re looking forward to a great 2019 and to continue offering you real value for your NGWA membership. We truly are Better Together! Trisha Freeman, QAS, is the director of membership for the National Ground Water Association. She can be reached at tfreeman@ngwa.org.